Why pay $4 for a Bud when you could pay $3? 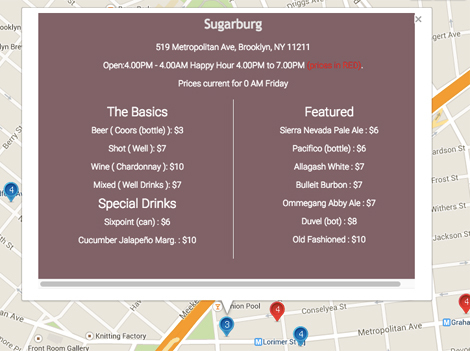 Instead of trawling Yelp for happy hour deals, New Yorkers now have an app which will locate the cheapest drinks nearby. 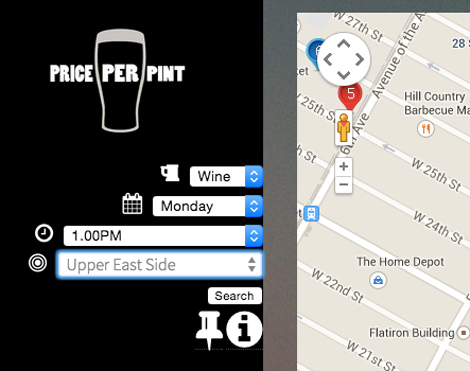 The free Price Per Pint app lets you search more than 450 Manhattan and Brooklyn bars for time-specific drink prices, including specials and happy hours, so you can drunkenly stretch that twenty dollar bill as far as it will go. 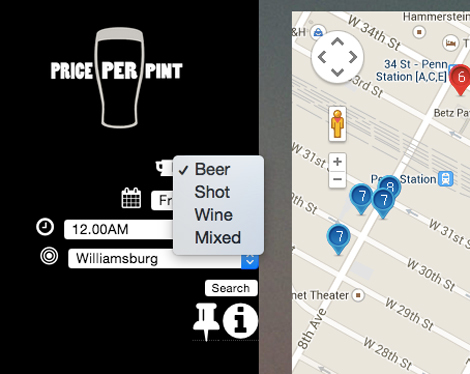 The Price Per Pint app and website are pretty simple to operate, even after a couple of $3 shots. 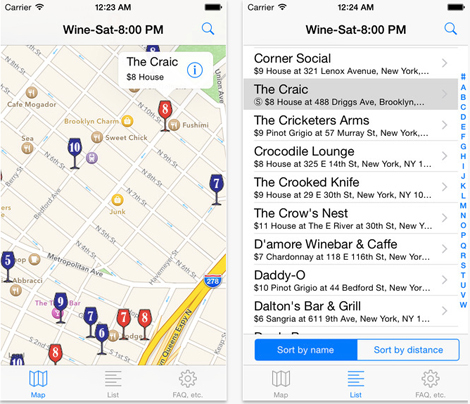 First, you pick your search criteria: beverage, day of the week, time, and neighborhood. 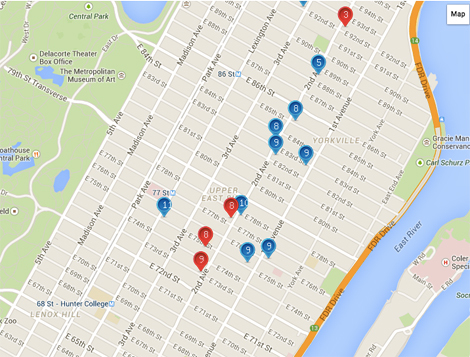 Each bar in the database is represented by a pin on the map. The number in the pin reflects the lowest price available at that bar for the drink you searched for. 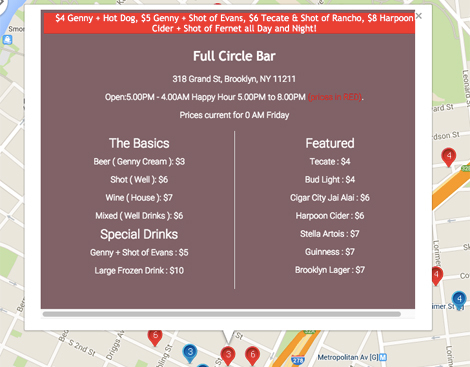 When you click on a pin, you’ll see details about the bar including its hours and more detailed drink prices. Red pins indicate the bar has a current special, which is displayed across the top of the window. 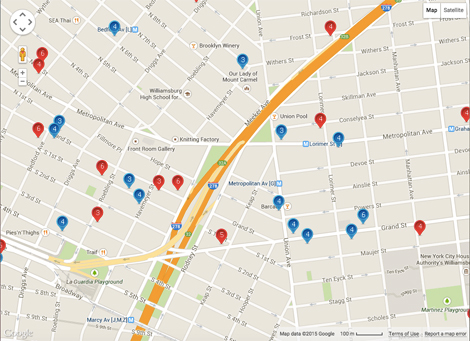 While you may not need any help locating cheap beer in Williamsburg, it can save you a bundle in pricier neighborhoods like the Upper East Side. Let’s say you wanted to have a glass of wine at lunchtime today. 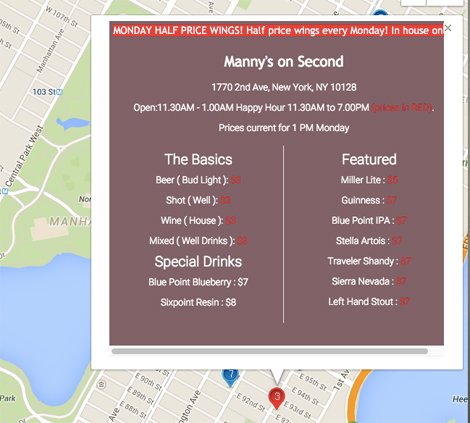 You can expect to spend $8–$11 at most establishments except the topmost one, where you’ll also score $3 house wine and half price wings #ftw. Proctor reportedly invested one year and a couple thou into the app, which is free to download on Andriod and iOS devices. According to the New York Post, prices are updated twice a year to ensure the information is current and correct. 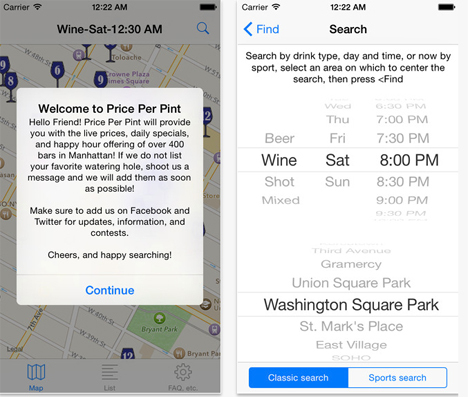 The Price Per Pint iTunes page says the app will soon be expanding to bars in other boroughs, as well as other cities. But for now, St Patrick’s Day in Manhattan just got a whole lot messier.